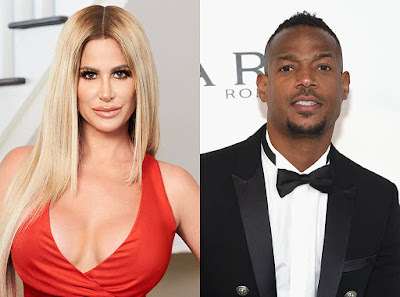 iRealHousewives | The 411 On American + International Real Housewives: Kim Zolciak-Biermann Reacts To Marlon Wayans' ‘White Chicks’ Joke! Kim Zolciak-Biermann Reacts To Marlon Wayans' ‘White Chicks’ Joke! Following Part 1 of The Real Housewives of Atlanta Season 10 reunion special, Marlon Wayans posted an unflattering screenshot of Kim Zolciak-Biermann, comparing her looks like his White Chicks character. 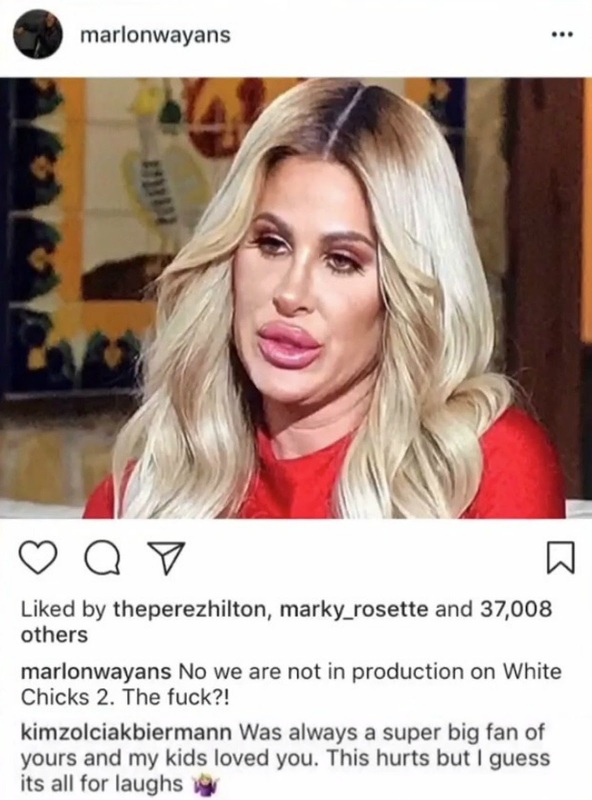 "No we are not in production on White Chicks 2," he wrote on Instagram while showcasing a picture of Kim Zolciak-Biermann. "The f--k?!" Kim reacted to the post immediately and responded to the post. "Was always a super big fan of yours and my kids loved you," she wrote in the comments section. "This hurts but I guess its all for laughs." Kim's husband Kroy Biermann came into her defense and shared his thoughts on the situation, according to a screenshot obtained by the Comments by Celebs’ Twitter account. TMZ caught up with the Don't Be Tardy couple in LAX and Kim descirbed the situation as "disgusting." She told TMZ she thinks that in the era of #MeToo, a grown man "mocking a woman is gross." "It's not setting a good example," she added. Meanwhile, the former Atlanta Falcons athlete said Wayans needs to "grow up" and called him "a coward." As for Marlon, he is unfazed by the Biermann's comments and defends his White Chicks joke. Watch video clip below!